La Sociedad Europea de Oculoplastica ha celebrado su congreso anual este Setiembre en Estocolmo. Con más de 800 cirujanos oculoplasticos, En él se dieron cita representantes de la mayoría de paises del mundo. El Dr González-Candial fué conferenciante invitado por los organizadores del congreso y tuvo la oportunidad de compartir su experiencia en cirugia de párpado inferior y parte media de la cara. Aula Medica at Karolinska Institutet is situated a stone throw from central Stockholm and faces the Karolinska University Hospital in Solna. Nobel lectures are arranged here, as well as scientific symposia, academic ceremonies, and conferences. The exhibition will be situated on floor 2 and 3 in bright and airy foyers, immediately next to the Erling Persson-hall. Address: Nobels väg 6, Solna. The Pre-Meeting course on Thursday 14 September will cover multiple topics ranging from clinical pearls and updates to the scientific frontier. 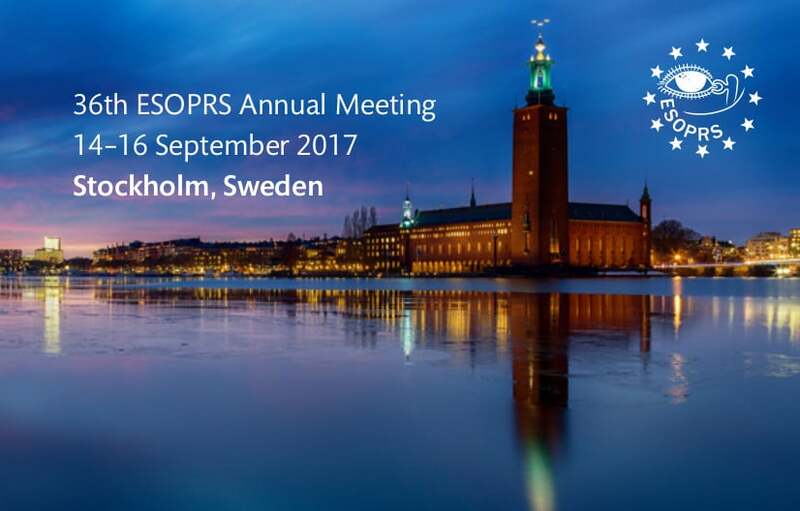 On Friday and Saturday, the Annual ESOPRS Meeting will offer oral, poster and video presentations on all aspects of ophthalmic plastic surgery and lectures by renowned speakers from Europe and around the world. 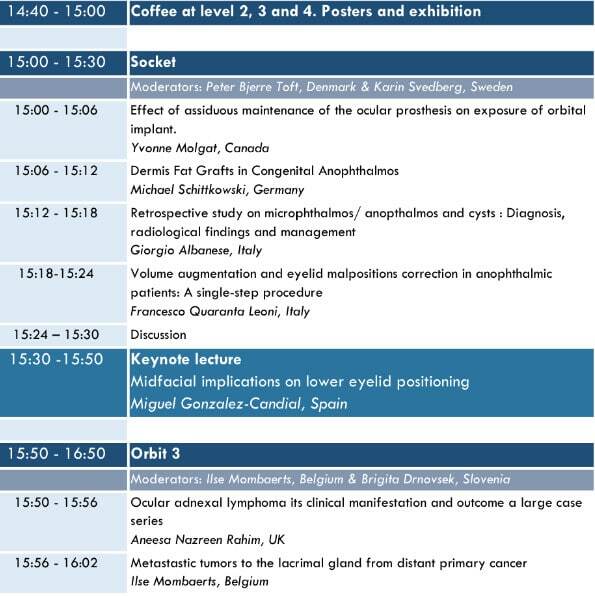 The pre-course, Main Meeting, poster session, and exhibition will take place in Aula Medica. 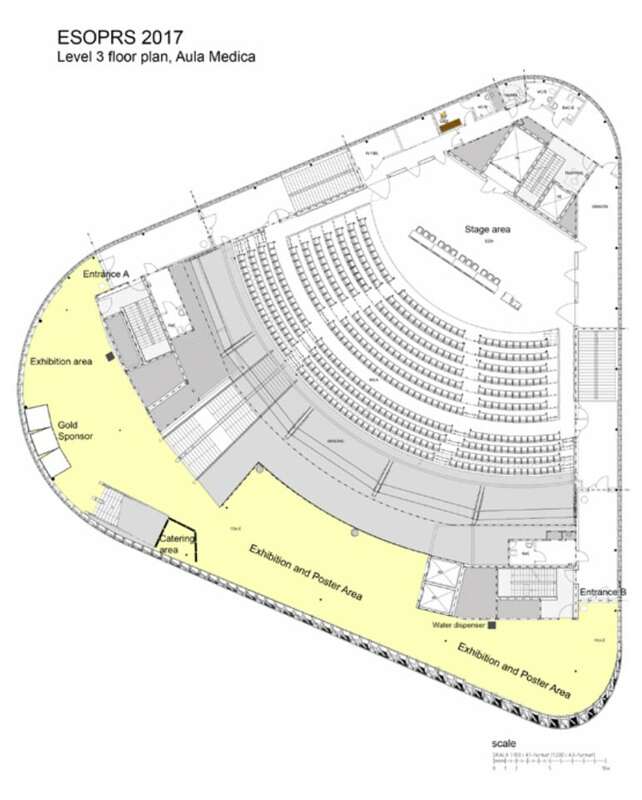 The exhibition area will be situated next to the poster area. All refreshments during daytime will be served in the exhibition and poster area. The exhibition will be open during the whole meeting i.e. 14-16 September. The city of Stockholm has a number of good hotels, and many are located within the close proximity of the venue.